The weekend begins on a cheerful note as the Sun dances with jovial Jupiter. A genuine feeling of warmth and generosity is in the air, encouraging you to feel hopeful about life’s possibilities. This upbeat vibe can inspire you to do big things, but Mercury going retrograde on Saturday begs you to slow down and check the finer points of your plans. Through September 5, you will need to review and redo before you can move forward. Sunday’s alignment between the Sun and determined Saturn provides the stick-to-itiveness to dig in your heels and work hard to complete what you have set out to accomplish. Your Weekend Horoscope reveals that Friday is the perfect date night! A carefree vibe between you and your significant other allows you to enjoy each other’s company without drama. However, if you are single you could meet someone relationship-worthy, so make plans to go out and do something fun. Mercury retrograde will have you reconsidering certain work and health related matters. You can gain a better understanding by slowing things down and looking more deeply into something that you take for granted or assume that you already know. On Sunday, you may get serious about studying something that will increase your happiness and ability to express yourself. Puttering around the house and working on a project may appeal to you on Friday or you might want to entertain if you have recently finished a repair or redecoration that you want to show off. However, Mercury retrograde can make you feel like you are spinning your wheels with a romance, your children, or a creative project. Consider this an opportunity to look deeper into the matter and to also ask questions that will yield the answers you seek. Sunday is a good day to explore long-term solutions for dealing with debt. Someone close to you may lend the expertise or support that helps you get on the right track. Hopefully, your date or mate is the talkative type because you will have a lot to say on Friday. Your vibe will be pretty upbeat, so this makes for good conversation. However, if you are on your own, you will gain satisfaction from channeling your ideas into a creative project. Mercury retrograde is likely to inspire a trip down memory lane. You might reconnect with someone from your childhood or you may have an interesting conversation about the past. Your playful mood gets serious on Sunday and may inspire a serious talk about partnership. Whether the connection is for business or pleasure, you will certainly want to secure the relationship for the long haul. Spend a little money (or even a lot) on something nice for your home. You have totally earned this splurge! Nesting is your thing, so you are sure to get a lot out of this investment. Unfortunately, Mercury retrograde is poised to be especially troublesome for you, and if you aren’t careful your communication could get you into trouble. Think about what you say before you speak and make sure to pause and reread before hitting send on text messages and emails. Hard work or an intensive workout might be on the agenda for Sunday. You will feel a sense of accomplishment when you complete the task that you have committed to. Your Weekend Horoscope reveals a genuine interest in what’s going on with the people around you. This can lead to spontaneous visits as well as loads of calls and messages. You might want to spend some time recording your exploits in a journal or sharing them online. Retrograde Mercury encourages you to do a review of your finances. Therefore, you should avoid making important purchases like vehicles and computers because you aren’t likely to get the best bang for your buck. Sunday is best spent getting serious about your love life, your children, or any activity that you enjoy. It might sound like an oxymoron to work hard at pleasure, but doing so will certainly bring rewards. You are just sitting back, counting your money, and dreaming about all the wonderful things that you will do as soon as you have the energy to do them. Rest up while you can, Virgo. You will need to have your wits about you while your ruler, Mercury, is retrograde in your sign. It’s like the universe is throwing a wrench in your trademark efficiency. All the reviews and redos that accompany a retrograde phase will apply specifically to you! On Sunday, you will be busy nailing things down on the home front. Whether you are attending to a repair or working to secure another matter, you will focus on implementing changes that promote long-term stability. Make plans to get together with friends on Friday, so they can bask in the warmth of your glow. Your cheerfulness, generosity, and sage advice will certainly make people happy to be around you. Mercury retrograde may bring a recurring dream. This is probably a sign that your subconscious is trying to tell you something. Unraveling the secret message can help you reclaim your power from a past event and finally put it to rest. On Sunday, a serious conversation with a friend can provide clarification on a private matter. It’s also a great time to study or to devote yourself to a writing project. 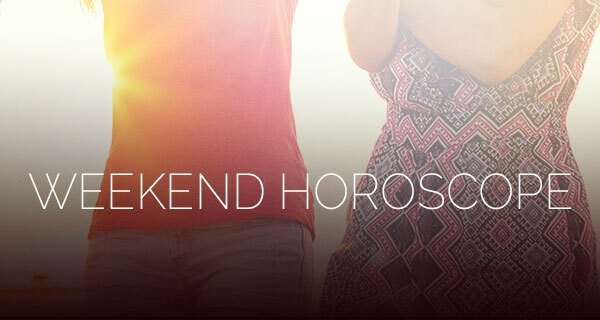 Your Weekend Horoscope shows that optimism and a cheerful vibe will set the tone for a great weekend. You sense that a lot of things are going your way and that you have the support that you need to do what you want to do. Mercury retrograde may inspire you to reconnect with a friend with whom you have been out of touch. Time and distance won’t prove to be obstacles if the friendship is true. Career and money matters will be foremost on your mind on Sunday. Your best move will be one that helps to secure your long-term financial future, so don’t get too distracted by short-term gains. Pair up with an adventurous friend and make a plan to do something different on Friday. 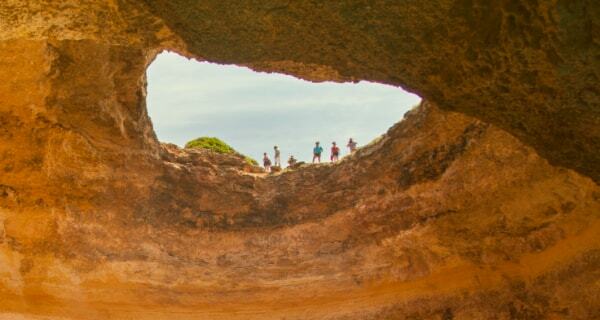 You may want to check out an interesting cultural destination or you might be into spending time exploring the great outdoors. Mercury retrograde will prompt you to reconsider your career goals and how you discuss your objectives with your superiors. Having clarity about what you want and where you want to go with your career make it easier to communicate your ideas to someone who is in a position to assist you. On Sunday, you should give some consideration to how you might need to be more disciplined in order to grow. This could involve devoting yourself to a spiritual practice. On Friday, be ready to seize whatever support is being offered that will help you to make a big career move. There is someone in your corner who wants to see you succeed and will do what they can to assist you. Mercury retrograde could muck up any upcoming travel plans, so be sure to double-check your reservations and itinerary. Retreading old ground with matters that pertain to the law or education might be a drag, but it can certainly help you avoid mistakes. On Sunday, you will need peace and quiet in order to process your emotions. You are pretty strong now, so you can handle whatever is happening. On Friday, someone close to you may introduce you to a new experience. He or she might take you to a place that you have never been before or blow your mind with a new concept. This experience could also present you with new possibilities for how to live your life. Mercury retrograde may bring a redo with a matter pertaining to taxes, debt, or money that you share with someone else. This is an ideal time to renegotiate the terms so that they will be more favorable to you. Sunday could bring the chance to bond with a friend who is older or more mature than most of your pals. You might be pretty focused on work or other chores on Friday. Fortunately, you should have whatever you need in the way of assistance or resources to get things done. Mercury retrograde might feel like a ride on a relationship merry-go-round, as you continue to revisit the same issues and have the same conversations again and again. Consider it an opportunity to gain a better understanding of what’s going on. On Sunday, you will get serious about working hard to reach a career milestone. The end is in sight and you just need to figure out how to make a graceful finish.